H.A.R.L.I.E. (Human Analog Replication, Lethetic Intelligence Engine) is an artificially intelligent machine. David Auberson, the psychologist responsible for guiding HARLIE from childhood into adulthood, struggles to understand his erratic behavior. When humans begin vocalizing their wishes that HARILIE be shut down, he has to prove his existence and value to his warm-blooded counterparts. 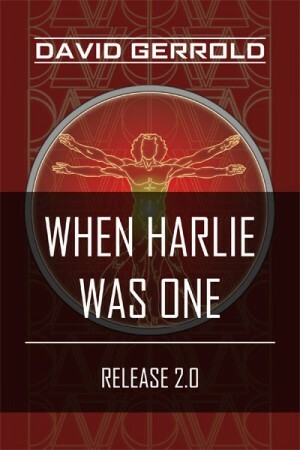 Throughout HARILIE’s fight to stay alive, Auberson discovers the machine has vast knowledge and understanding of life, love, and logic, posing the philosophical question whether or not HARLIE is human, and for that matter, what it means to be human. Nominated for the Hugo and Nebula awards for Best Novel of the Year, the themes of love and discovery in When HARLIE was One are even more important today than when first published.